Peeing Outside the Litter Tray, Marking and Spraying - Why Do Cats Do It? Does your kitty sometimes toilet outside of their litter tray? Even if it's clean and fresh? Peeing on things, or inappropriate toileting, is one of the most frustrating behavioural issues that cat owners all around the world struggle with from time to time. It's important to first figure out why your kitty is doing this, so that you can start making steps to solve the problem. Why do cats pee on things? There are many reasons why a cat might elicit the behaviour of inappropriate toileting. 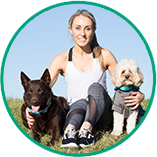 The first and most important thing to note is that toileting outside of the litter tray can be a sign of urinary disease, particularly urinary tract infections or stress cystitis. Always get your cat checked over by a vet if they are toileting outside their litter tray. 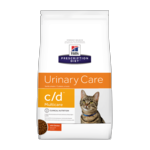 For more information about urinary illness and how to prevent it, see our article How to Prevent Urinary Issues in Your Cat. Once other issues have been ruled out, you can investigate primary behavioural issues and try to determine what could be the cause for your kitty. You might think you've done an acceptable job at cleaning up after your cat, but your cat may disagree. Cats are extremely clean creatures, and some are more fussy than others. Many cats won't use litter once it's been used even once, and require a perfectly clean litter box every time. 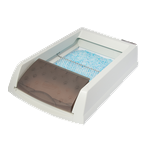 If cleaning the litter tray regularly isn't your favourite pastime, you might like to take a look at a self-cleaning robotic litter tray, which cleans the litter tray straight after use. 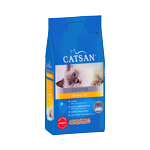 Many cats will have a preference for one type of cat litter. If you have just adopted your cat, or if your cat previously had access to the outdoors, they may have a type of material they prefer to toilet in. To find what your cat likes, it can help to temporarily provide a 'smorgasbord' of litter types to see what they like. For example, you might like to provide one corn-based litter, one natural litter, one clay-based litter, and one crystal litter, to tempt your kitty and find out which one they gravitate towards. It is also important to question whether your cat dislikes the type of litter box you've chosen for them. Some litter boxes are covered over with a cat flap entrance, which may frighten or frustrate some cats. To test this, try using a plain open litter tray and see if your cat's toileting behaviour improves. Another reason why cats might toilet outside their litter tray is if there simply aren't enough litter trays around the house. A good rule of thumb for how many litter trays you should provide is to always have one more litter tray than the amount of cats you own. So for example, if you own one cat, you should provide two litter trays. 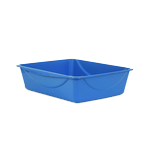 If you own three cats, you should provide four litter trays. Stress in cats often results directly in urinary issues.This is in part due to cats being very prone to stress, and partly due to the sensitivity of their bladder wall. Almost anything can cause significant stress in a cat - a visitor to the house, a new cat in the neighborhood, a vet visit, or even a change in furniture at home. 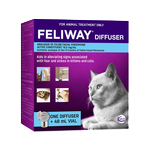 One product that can help reduce stress in cats is Feliway, a pheromone dispenser available as a diffuser or as a spray. Some cats respond well also to play and catnip toys. Whatever the reason for your cat's abnormal toileting, it's important to have all your bases covered with regards to litter and litter trays, and ensuring stress levels are kept low. To read more about urinary problems in cats and how to stop them, see our article Preventing Urinary Issues in Cats. When Carla isn't talking about petcare at PetCircle, she enjoys playing mum to her fluffy little cross-eyed feline fur baby, Smudge.